The region of Al Hasakah, which the Kurdish Nationalist Party (PYD) and their military wing YPG have declared a federal kurdish state, does not have a majority Kurdish population. Al Hasakah Governorate is a mosaic of Assyrian christians, Armenians, Turkmens, Kurds and Bedouin Arabs. Of the 1.5 million population of Al Hasakah only 40% are ethnically Kurdish. Moreover, parts of Al Hasakah Governorate, such as AL Hasakah district is less than 15% kurdish. The other large minorities in the Area, the Arabs and Assyrian Christians together make a majority. Declaring a small area with a wide array of ethnic groups as belonging to a specific ethnic minority is a recipe for oppression. The Kurdish population of Al Hasakah has also been heavily inflated by illegal kurdish immigration from Turkey. Kurdish immigration to Syria began in the 1920’s and occurred in several waves after multiple failed kurdish uprisings against Turkey, and continued throughout the century. In 2011 the Kurdish population in Syria reached 1.6 to 2.3 million, 420,000 of this have left Syria for Iraq and Turkey as a result of the current conflict. Some Syrian kurds have lived in Homs and Damascus for hundreds of years and are heavily assimilated into the Syrian society. However Kurdish illegal immigrants who mostly reside in north Syria, and who could not prove their residence in Syria before 1945, complain of oppression when they were not granted the rights of Syrian citizens. Syrian law dictates that only a blood born Syrian whose paternal lineage is Syrian have a right to Syrian citizenship. No refugee whether Somali, Iraqi or Palestinian has been granted Syrian citizenship no matter how long their stay. In spite of this, in 2011 the Syrian president granted Syrian citizenship to 150,000 Kurds. This has not stopped the YPG from using the fact illegal kurdish immigrants were not granted citizen rights in the past as a rationale to annex Syrian land. Those who promote Federalism are imposing the will of a minority of Al Hasakah’s population, some of which are not of Syrian origin, on the whole of Al Hasakah’s population and on the whole of Syria. PYD’s unilateral declaration of Federalism did not consult with other factions of Syrian society. The other ethnicities that reside in Al Hasake governate, which PYD are claiming should be a autonomous kurdish state, have rejected federalism. Assembly of Syrian clans and Arab tribes in Al Hasaka and the Assyrian Democratic Organization (ADO) rejected PYD’s federalism declaration. In Geneva the both the Syrian government and the opposition rejected PYD’s federalism declaration. Furthermore, PYD does not represent all of Syria’s Kurdish population, Kurdish faction of the Syrian national coalition condemned PYD’s federalism declaration. Most of Syria’s Kurds do not live in Al Hasakah and many that do work outside of it. Thousands of Kurds have joined ISIS and are fighting for an Islamic State not a Kurdish one. Unilateral declaration of federalism carries no legitimacy since federalism can only exist with a constitutional change and a Referendum. Federalism is unlikely to garner much support from the bulk of Syria’s population, 90-93% of which are not kurdish. Knowing this, PYD have banned the residence of Al Hasakah from voting in the upcoming Parliamentary elections. This shows the will of the people in Al Hasakah is already being crushed by PYD. It is undemocratic to continue to discuss federalism as a possibility when it has been rejected by so many segments of Syrian society. Ironically we are told the purpose of the US's Regime change adventure in Syria is to bring democracy to the middle east. Since the Kurdish population are not a majority in the areas PYD are trying to annex, the past few years have revealed that PYD/YPG are not beyond ethnic cleansing of non-Kurdish minorities in an attempt to achieve a demographic shift. The main threat to ethno-centric territorial claims over the area are the other large minorities, the Arabs and the Assyrian christians. Salih Muslim leader of the PYD openly declared his intention to conduct an ethnic cleansing campaign against Syrian Arabs who live in what he now calls Rojava. "One day those Arabs who have been brought to the Kurdish areas will have to be expelled", said Muslim in an interview with Serek TV. Over two years since that interview he has fulfilled his word, YPG begun burning Arab villages around Al Hasakah Province hoping to create a demographic shift. It is estimated that ten thousands Arabs have been ethnically cleansed from Al Hasake province so far. The villages around Tal Abayad have suffered the most as Kurdish expansionists seek to connect discontiguous population centres in Al Hasakah and Al Raqqa. “The YPG burnt our village and looted our houses,” said ­Mohammed Salih al-Katee, who left Tel Thiab Sharki, near the city of Ras al-Ayn, in December. YPG have also begun a campaign of intimidation, murder and property confiscation against the Assyrian christian minority. The YPG and PYD have made it a formal policy to loot and confiscate the property of those who had escaped their villages after an ISIS attack, in the hopes of repopulating Assyrian villages with Kurds. The Assyrians residents of the Khabour area in Al Hasaka province formed a militia called the Khabour Guard in the hopes of defending their villages against ISIS attacks. The khabour guard council leaders protested the practice of Kurdish YPG militia members looting Assyrian villages that were evacuated after ISIS had attacked them. Subsequently the YPG assassinated the leader of the Khabour Guard David Jindo and attempted to Assassinate Elyas Nasser. At first the YPG blamed the assassination on ISIS but the survivor Elyas Nasser was able to expose the YPG’s involvement from his hospital bed. Since the assassination YPG has forced the Khabour guard to disarm and accept YPG ‘protection’. Subsequently most Assyrian residents of the Khabour, who had fled to the Syrian Army controlled areas of Qamishli city could not return to their villages. The Assyrian christian community in Qamishli have also been harassed by YPG Kurdish militia. YPG attacked an Assyrian checkpoint killing one fighter in the Assyrian militia Sootoro and wounding three others. The checkpoint was setup after three Assyrian restaurants were bombed on December 20, 2016 which killed 14 Assyrian civilians. Assyrians suspected that YPG was behind these bombings in attempt to assassinate Assyrian leaders and prevent any future claims of control over Qamishli. It would be foolish to ignore the signs that a more widespread ethnic cleansing campaigns may occur if Kurdish expansionists are supported, especially since other ethnic groups are not on board with their federalism plans. It has only been 90 years since the Assyrian genocide, which was conducted by Turks and Kurds. This history should not be allowed to be repeated. Assyrians have enjoyed safety and stability in the Syrian state since this time. Forcing the Assyrians to accept federalism is not going to ensure their safety. Establishment of a federal Kurdish state in Iraq has not protected Assyrian villages which have been attacked by Kurdish armed groups. The campaign of ethnic cleansing against both Assyrians and Arabs in Al Hasakah has begun and may only escalate. While Kurds make up only 7-10% of the Syria’s total population, PYD demands 20% of Syria’s land. What’s more, the region of Al hasakah that YPG want to annex has a population of only 1.5 million people. Much of syria’s Agriculture and oil wealth is located in Al Hasakah, which is shared by Syria’s 23 million people. Al Hasakah province produces 34% of Syria’s wheat and much of Syria’s Oil. This oil pumping stations are now being shared by ISIS and YPG Kurds to fund their war effort and the Syrian people are deprived. While headlines abound about Syria’s starving population, there is little talk of how federalising Syria could entrench this starvation into law for generations to come. Instead promoters of Federalism talk about how giving the resources shared by 23 million people to 1.5 million people can lead to peace. Since the majority of Syria’s population and Syria’s government oppose Kurdish annexation claims, PYD will not be able to achieve federalism through legal means. The only way the PYD and YPG can achieve federalism is through brute force. This brute force may backed by the US air force and special forces invasion which contradicts international law. Head of PYD Saleh Islam has already threatened to attack Syrian troops if they attempt to retake Raqqa from ISIS. A Kurdish state in Syria like the Iraqi kurdistan ensures US hegemony in the region. Like the KRG, the YPG are already attempting to build a US base on Syrian soil. Russia which has been a long time ally of Syria will be further isolated as a result. This will once again tip the balance of power in the world. All of Syria’s neighbouring countries are also opposed to an ethnocentric Kurdish state in Syria. The YPG is linked to the PKK, which is active in Turkey and which the United Nations has designated a Terrorist organisation. Turkey will see YPG’s federalism claims as strengthening the PKK. Turkey may invade Syria as a result, guaranteeing at the least a regional war. This regional war could involving Iran, Syria, Hezbollah and Israel. Israel wants to establish a Kurdistan, as a Sunni-Iranian rival to Shi’ite Iran. They hope such a Sunni state will block Iran’s access to Syria and Lebanese resistance against Israeli invasion. This was all outlined in Israel’s Yinon plan published in 1982. Israel is an extension of US influence and hegemony in the region, the Israeli lobby holds much sway over US politics. Strengthening Israel in the region will strengthen US influence over the region, once again shrinking Russian influence, pushing the nuclear power into a corner. Journalists who show a sense of confusion about the reason the west is supportive of Kurdish expansionism should consider this point. Finally, a designated ‘Kurdish Area’ in Syria is deep routed in ethnocentric chauvinism. A US state strictly designated for Hispanic, White or Black ethnicity would be outrageous to suggest and would be considered racist. But the use of ethnicity as a means to divide and conquer is the oldest and most cynical form of imperialism. Syria must remain for all Syrians not just one minority. Voices who oppose this should be discouraged. The Syrian constitution should continue to resist all ethnocentric religious based parties. If there is a change to the Syrian constitution, it should be the removal of the word Arab from Syrian Arab republic. In spite of the fact that the vast majority Syrians speak the Arabic language the majority of Syrian are historically not ethnically Arab. All sections of Syrian society should be treated equally under the Syrian flag. Algumas razões simples que explicam porque é que a reivindicação da autonomia federal e a anexação de território sírio pelo PYD/YPG são ilegítimas, antidemocráticas e podem conduzir ao genocídio. A região de Al Hasakah, que o Partido Nacionalista Curdo (PYD) e sua ala militar YPG têm declarado ser um estado federal curdo, não tem uma maioria curda. A província de Al-Hasakah é um mosaico de cristãos assírios, arménios, turcomanos, curdos e beduínos árabes. Dos 1.5 milhões da população de Al Hasakah apenas 40% é etnicamente curda. Além disso, em partes da governadoria de Al Hasakah, tais como o distrito de Al Hasakah, os curdos são menos de 15% (!). Nos outros grandes grupos de minorias na área, árabes e cristãos assírios constituem a maioria. Declarar uma pequena área com uma grande variedade de grupos étnicos como pertencente a uma minoria étnica específica é receita para opressão. A população curda de Al Hasakah também tem sido fortemente infiltrada pela imigração ilegal curda proveniente da Turquia. A imigração curda para a Síria iniciou-se na década de 1920 e ocorreu em várias vagas após múltiplos levantamentos falhados dos curdos contra a Turquia. Continuou ao longo do século. Em 2011, a população curda na Síria chegou aos 1.6-2.300.000, mas 420.000 deles foram da Síria para o Iraque e Turquia, por causa do presente conflito. Alguns curdos sírios vivem em Homs e Damasco desde há centenas de anos e foram absolutamente assimilados pela sociedade síria. No entanto, os imigrantes ilegais curdos que na sua maioria residem no norte da Síria, e que não conseguiram provar que já eram residentes na Síria antes de 1945, queixam-se de opressão por não lhes terem sido concedidos os direitos atribuídos aos cidadãos sírios. A lei síria determina que apenas têm direito à cidadania síria os nascidos na Síria filhos de pai sírio. Não foi atribuída a cidadania a nenhum refugiado, palestino, da Somália ou do Iraque, independentemente de qual tenha sido o tempo de estadia no país. Apesar disso, em 2011, o presidente sírio, concedeu a cidadania síria a 150.000 curdos. Isso não impediu o YPG de usar imigrantes curdos ilegais a quem não foi concedida a cidadania como justificação para a anexação de território sírio. Aqueles que promovem o federalismo estão a impor a vontade de uma pequena minoria - que não é de origem síria – à totalidade da população de Al Hasakah e de toda a Síria. O PYD não se preocupou em consultar outras facções da sociedade síria antes da sua declaração unilateral de federalismo. As outras étnias que residem na governadoria de Al Hasake, que o PYD afirma ser agora um estado curdo autónomo, têm claramente rejeitado o federalismo. Uma assembleia de clãs sírios e tribos árabes em Al Hasaka e a Organização Democrática Assíria (ADO) rejeitaram a declaração de federalismo do PYD. Em Genebra, tanto o governo sírio como oposição rejeitaram a declaração federalista do PYD. Além disso, o PYD não representa toda a população curda da Síria. A facção curda da coligação nacional síria condenou a declaração de federalismo do PYD. A maioria dos curdos da Síria não vive em Al Hasakah e muitos dos que lá vivem trabalham fora. Milhares de curdos juntaram-se ao ISIS e estão a lutar por um estado islâmico e não por um estado curdo. A declaração unilateral de federalismo não tem qualquer legitimidade uma vez que a federação só pode existir através de uma mudança na ordem constitucional e de um referendo. É improvável que o federalismo angarie apoio substancial da maior parte da população da Síria, da qual 90-93% não é curda. Sabendo disso, o PYD proíbiu os moradores de Al Hasakah de votar nas próximas eleições parlamentares que decorrerão em todo o país. Isto demonstra que a vontade do povo de Al Hasakah já está a ser esmagada pelo PYD. Não é democrático continuar a discutir o federalismo como uma possibilidade futura quando tem sido rejeitado por muitos segmentos da sociedade síria. Irónicamente, é-nos dito que o propósito da aventura da mudança de regime preconizada pelos EUA para a Síria é trazer a democracia ao Médio Oriente. Uma vez que a população curda não é maioritária nas áreas que o PYD está a tentar anexar, os últimos anos têm revelado que PYD/YPG não excluem conduzir uma limpeza étnica das minorias não-curdas, numa tentativa de conseguir uma alteração demográfica. A principal ameaça às reivindicações territoriais etnocêntricas curdas sobre a área provém das outras grandes minorias, os árabes e os cristãos assírios. Salih Muslim, o líder do PYD, declarou abertamente a intenção de conduzir uma campanha de limpeza étnica contra os sírios árabes que vivem onde ele agora chama Rojava. "Os árabes que foram trazidos para as áreas curdas terão de ser um dia expulsos", disse Muslim numa entrevista à Serek TV. Dois anos após esta entrevista cumpriu a sua palavra, pois o YPG começou a incendiar aldeias árabes em redor da província de Al Hasakah, esperando conseguir uma mudança demográfica. Estima-se que até agora tenham sido étnicamente removidos da província de Al Hasake dez mil moradores árabes. As aldeias ao redor de Tal Abayad foram as que mais sofreram, uma vez que os expansionistas curdos procuram ligar os centros populacionais não contíguos de Al Hasakah e Al Raqqa. "O YPG queimou a nossa aldeia e saqueou as nossas casas", disse Mohammed Salih al-Katee, que em Dezembro deixou Tel Thiab Sharki, perto da cidade de Ras al-Ayn. O YPG também iniciou uma campanha de intimidações, homicídios e expropriações contra a minoria cristã assíria. YPG e PYD fizeram disto uma política formal de saque e confisco dos bens dos que escaparam das suas aldeias depois de um ataque do ISIS, na expectativa de repovoamento das aldeias assírias com curdos. Os moradores assírios da área de Khabur na província de Al Hasaka formaram uma milícia chamada Guarda Khabour na esperança de defender as aldeias dos ataques do ISIS. Os líderes do conselho Guarda Khabur protestaram contra os saques dos milicianos curdos do YPG às aldeias assírias evacuadas após os ataques do ISIS. Posteriormente, o YPG assassinou o líder da Guarda Khabur, David Jindo, e tentou assassinar Elyas Nasser. O YPG procurou inicialmente atribuir a responsabilidade ao ISIS, mas Elyas Nasser, que sobreviveu e se encontrava hospitalizado, conseguiu expor o envolvimento do YPG. Desde o assassinato, o YPG tem forçado a Guarda Khabour a desarmar-se e a aceitar a sua “protecção”. Subsequentemente, a maioria dos residentes assírios do Khabour que tinham fugido para as áreas sírias da cidade de Qamishli controladas pelo Exército não puderam regressar às suas aldeias. A comunidade cristã assíria em Qamishli também tem sido assediada pela milícia curda do YPG. O YPG atacou um posto de controle assírio matando um combatente da milícia assíria Sootoro e ferindo outros três. O posto foi criado depois de três restaurantes assírios terem sido bombardeados em 20 de Dezembro de 2015 num ataque que matou 14 civis assírios. Os assírios suspeitaram que o YPG estava por detrás desses atentados, numa tentativa de assassinar líderes assírios e prevenir quaisquer reivindicações de controle sobre Qamishli. Seria tolice ignorar os sinais de que poderão ocorrer campanhas de limpeza étnica mais alargadas se os expansionistas curdos forem apoiados, especialmente desde que outros grupos étnicos discordaram dos seus planos de federalismo. Só ainda passaram 90 anos desde o genocídio assírio conduzido por turcos e curdos. Essa história não pode ser repetida. Desde então os assírios têm desfrutado de segurança e estabilidade no estado sírio. Forçar os assírios a aceitar o federalismo não lhes vai garantir a segurança. A criação de um estado curdo federal no Iraque também não tem protegido as aldeias assírias de ataques de grupos armados curdos. A campanha de limpeza étnica contra ambos, assírios e árabes, em Al Hasakah, já começou e agora só pode escalar. Enquanto os curdos constituem apenas 7-10% da população total da Síria, o PYD exige 20% do território da Síria. Além do mais, a região de Al Hasakah que o YPG quer anexar tem uma população de apenas 1,5 milhões. Grande parte da riqueza da Síria em agricultura e petróleo está localizada em Al Hasakah e é compartilhada por 23 milhões de pessoas. A província de Al Hasakah produz 34% do trigo da Síria e muito do petróleo do país. As estações de bombeamento de petróleo estão agora a ser utilizadas pelo ISIS e curdos do YPG para financiar os seus esforços de guerra, privando dele o povo sírio. Enquanto as manchetes abundam sobre a população faminta da Síria, pouco se diz sobre como a federalização da Síria poderia legitimar a fome das próximas gerações. Em vez disso, os promotores do Federalismo discorrem sobre a forma como a entrega dos recursos compartilhados por 23 milhões a 1,5 milhões de pessoas conduzirá à paz. Uma vez que a maioria da população da Síria e o governo da Síria se opõem às reivindicações de anexação dos curdos, o PYD não será capaz de implementar o federalismo através de meios legais. A única forma de PYD e YPG poderem chegar ao federalismo é através da força bruta. Esta força bruta pode ser apoiada pela força aérea dos Estados Unidos e por uma invasão de forças especiais, o que contraria o direito internacional. O líder do PYD, Saleh Muslim, já ameaçou atacar as tropas sírias se tentarem retomar Raqqa ao ISIS. Um estado curdo na Síria à semelhança do Curdistão iraquiano garante a hegemonia dos EUA na região. Como o KRG , o YPG já está a tentar construir uma base dos EUA em solo sírio. A Rússia, que tem sido aliada da Síria desde há longo tempo, ficará consequentemente ainda mais isolada. Isto afectará mais uma vez o equilíbrio de poder no mundo. Os países vizinhos da Síria também se opõem todos a um Estado curdo etnocêntrico na Síria. O YPG está ligado ao PKK, que está activo na Turquia e que as Nações Unidas designaram uma organização terrorista. A Turquia verá nas reivindicações de federalismo do YPG o reforço do PKK. Como consequência, a Turquia poderá invadir a Síria, gerando pelo menos uma guerra regional. Esta guerra regional poderia envolver o Irão, a Síria, o Hezbollah e Israel. Israel quer criar um Curdistão, como rival sunita-iraniano para o Irão xiita. Esperam que um tal estado sunita vá bloquear o acesso do Irão à Síria e que impeça a resistência libanesa de se opor à invasão israelita. Tudo isto foi realçado no Plano Yinon de Israel publicado em 1982. Israel é uma extensão da acção e hegemonia dos Estados Unidos na região, o lobby israelita tem muita influência sobre a política dos Estados Unidos. Reforçar Israel na região irá reforçar a influência dos EUA sobre a região, mais uma vez, diminuindo a influência russa e encurralando uma potência nuclear. Os jornalistas que se mostram baralhados com a razão pela qual o Ocidente apoia o expansionismo curdo devem considerar este ponto. Finalmente, a ideia da designada "área curda” na Síria está profundamente enraizada no chauvinismo etnocêntrico. Um estado norte-americano estritamente designado de etnicidade hispânica, branca ou negra seria uma sugestão escandalosa e seria considerado racista. Mas o recurso à etnicidade como meio para dividir e conquistar é a forma mais antiga e mais cínica do imperialismo. A Síria deve ficar para todos os sírios, e não apenas para uma minoria. As vozes que a tal se opõem devem ser desencorajadas. A Constituição síria deve continuar a resistir a todos os partidos de base religiosa e etnocêntrica. Se houver uma alteração à Constituição síria, deveria ser a remoção da palavra “Árabe” da designação República Árabe da Síria. Apesar do facto de a grande maioria sírios falar a língua árabe, a maioria dos sírios são históricamente não étnicamente árabes. Todos os sectores da sociedade síria devem ser tratados como iguais sob a bandeira síria. EXPOSED: Goon from the Washington Institute think tank acts as messenger boy for Al Qaeda to its supporters in the State Department. 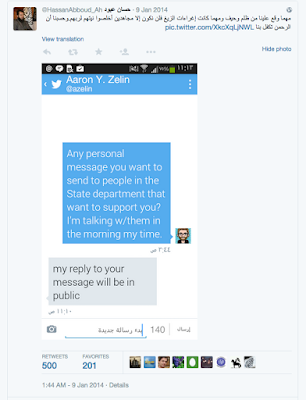 Washington Institute fellow Aaron Y.Zelin sent a private message through his twitter account @Azlan, to the leader of Al Qaeda of shoot Ahrar Al Sham, suggesting that he may help relay a message to his supporters in the US State Departement. "Any personal message you want to send to the people in the state department who want to support you? 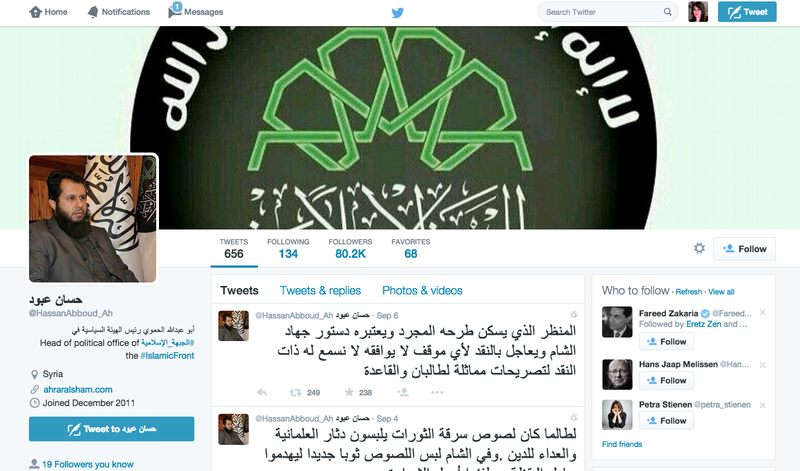 I'm talking with them in the morning my time"
The Ahrar Al sham's leader answered with "My reply to your message will be in public", and followed through by leaking out the private message in a tweet. This tells us two things, first that there are people within the State Department that support ALQaeda and Zelin knows who they are. Secondly,think tanks like the Washington Institute , are acting as mouth pieces for Al Qaeda to stir up support in the US State Department. This would not be the first time a think tank suggests that ALQaeda become the US's new best friend. In January 2014 the CFR wrote an article headlined " The good and Bad of Ahrar Al-Sham: An Al Qaeda-Linked Group Worth Befriending". But it is the first time an american analyst has shown his links and support for ALQaeda so directly, and exposed members of the State Department along with him. ISIS barbarian kneels to destroy 2000 year old Statue in Palmyra, Syria. In what the UNESCO are calling 'Cultural Cleansing' ISIS is continuing to destroy Syrian artefacts, this time in the ancient city of Palmyra. While we watch thousands of years of history get destroyed by ISIS barbarians, we should remember how we got here. In 2011 the US destabilised Syria by backing the muslim brotherhood and alQaeda linked insurrection, just enough that it would cause a protracted war. Without the US intervention, non of this would have happened. What ISIS is doing in Palmyra is much deeper than broken Statues in the desert, and in fact is part of the US's plan to balkanise and dissolve the Syrian and Iraqi Nation states. 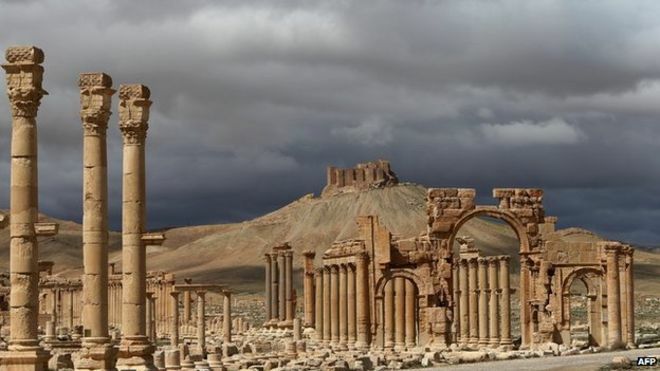 By destroying these ancient artefacts in the city of palmyra and earlier nimrod old artefacts, ISIS are wiping out any tangible evidence of Syrian and Iraqi ancient civilisations and national identity. But ISIS are just tools in this endeavour and in fact the systematic destruction of middle eastern artefacts was happening before ISIS even existed. The Taliban who the US supported into power in Afghanistan destroyed the ancient Buddha statues The looting of Baghdad museums at the start of the Iraq war in 2003 is an example of this. Many of Iraq's artefacts ended up in new York and Israel. Before ISIS was even a presence in the Syrian crisis the US backed FSA were digging up archeological sites and selling artefacts for guns. 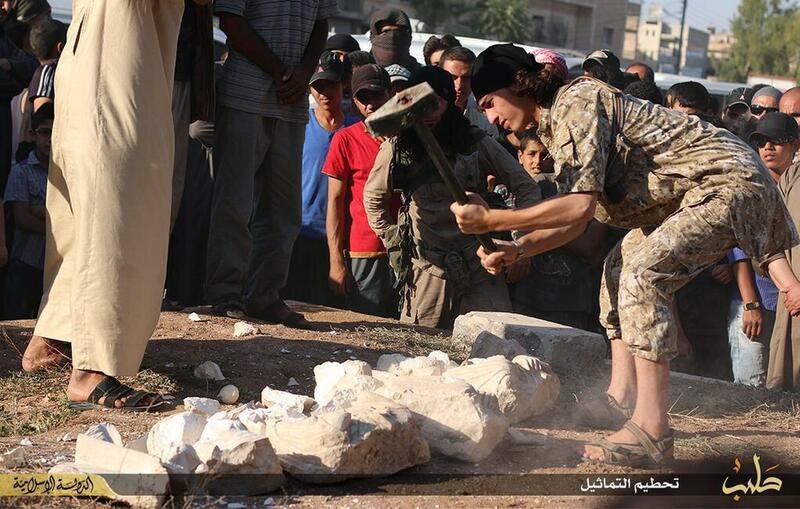 Jabhat al nusra was busy wiping out historical sites well before ISIS became a presence. But perhaps the Syrian content within Jabhat Al Nusa caused some of them to have a semblance of a conscience left, which prevented them from the extent of the destruction that ISIS has been responsible for. Perhaps that's why ISIS was needed by the powers who want to balkanise Syria. Even Statues aren't safe from ISIS beheadings. ISIS shares the US's destain for middle eastern nationalism. 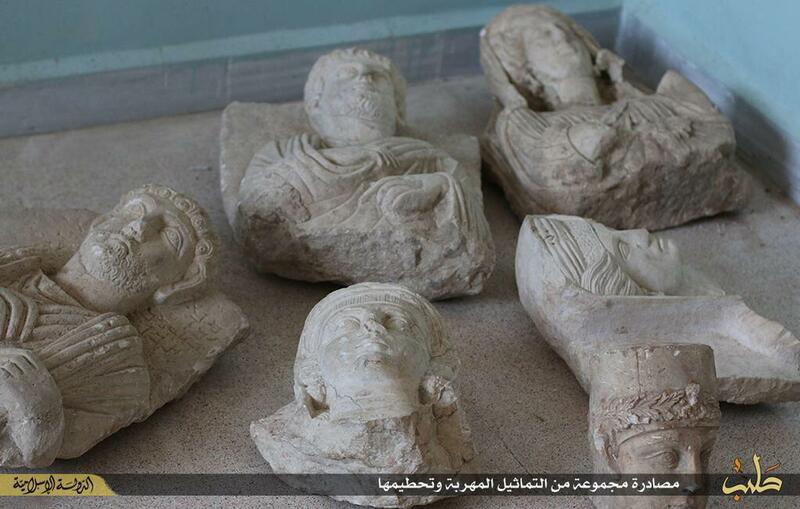 Furthermore Islam forbids Idolatry, and in ISIS extremist mind that translates as 'statues are forbidden', even though no body worshiped these statues in Palmyra. That doesn't explain why they destroyed walls and buildings in Nimurd, does the site of a pre-islamic civilisation offend them or do they get their orders from above? Does this sound far fetched? In response to ISIS destruction of Palmyra, US think tank Middle east Briefing mention an idea to dissolve Iraq and Syria. In order to break a part a country, you have to first dismantle its national identity, and our history is a key to this identity. This plan was laid out by Condoleezza Rice in the project for a new middle east. By destroying or simply removing artefacts from Iraq and Syria they destroy any tangible evidence our civilisation even existed. It is then far easier to deny the history ever happened, or at least detach that history from current Iraq and Syria. They hope the world will forget its existence as difficult as that sounds to do. But the history of 'cultural marxism was' removed form wikipedia last month in response to GamerGate .The history of our civilisation is being memory holed. They don't just want to destroy us, they want to destroy any evidence that we ever existed, and ISIS is but a tool in this endeavour. November 27, 2014 (Maram Susli - NEO) Many mainstream media websites helped a fake video go viral this month. The video showing a young Syrian boy running through sniper fire to save a little girl, was exposed as a fake when the Norwegian producer Lars Klevberg made the fact public. One of the stated aims of the Norwegian film makers was to “see how the media would respond to a fake video." This article examines how that experiment went. The western press very quickly accepted the video as real and used it to support the US administration's narrative on Syria. Many top US news sources began to spread the story. Even though the producer said he explicitly added big hints that the video was fake, like the children surviving multiple gun shots. The Guardians headline for the video was ‘Syrian boy saves girl from army sniper’ and the Telegraph delicately suggested Syrian military were responsible for fake bullets. The International Business (IB) times stated, “the snipers, who reportedly are said to be the government forces loyal to Syrian President Bashar al-Assad.” IB Times never explicitly mention who reported this information. They then took it a step further and concluded the article with “The incident certainly is not the first time that Pro-Assad gunmen have targeted children”. Well it is at least not the first time the mainstream media has presented false reports as fact. In 2012, CNN claimed a bullet that killed a four year old girl in Aleppo was shot by government snipers even whilst admitting the bullet came from rebel held buildings. Other journalists took to twitter to make unfounded claims about army snipers targeting the boy. Vinnie O’Dowd who has done work for Channel 4 and Al Jazeera tweeted “Syrian Regime Targets kids. Liz Sly of the Washington Post tweeted incredulously that “Soldiers kept shooting” at children. These tweets inline with an official State Department twitter account @ThinkAgain_DOS which blamed Assad for the fictitious bullets in the film. This casts doubt on how deeply the US administration scrutinizes information it bases it’s policy on. In 2013 they relied heavily on video footage provided by rebels to support its planned attack on Syria in the wake the Ghouta chemical attack. This is very strange since both children in the film walk away after being directly and repeatedly hit by bullets. The creators of the film said he purposely scripted this a big hint that the video is fake. The lack of scrutiny the media experts employed suggests incompetence or the same level of bias as the media that employ them . Heather Saul of the Independent wrote that one of the ‘Middle East experts” she showed the video to were Human Rights Watch. Indeed, Human Rights Watch European Media Director Andrew Stroehlein, showed no doubt on the authenticity of the film when he tweeted it out to his followers. The New York based human rights organisation is not new at tweeting false information, last month they used an image of the Odessa fire, where US-backed militia’s burned thirty two people to death, as an example of ‘Putin’s repressive policies’. In 2008 Venezuela expelled two HRW staff members accused of "anti-state activities” after producing a report against the Chavez government. Guardian journalist Hugh O’Shaughnessy accused HRW of using false and misleading information in the report, as well as pro-Washington bias. In 2009 HRW received financial donations from the Saudi government which may, in part, explain the anti-Syrian slant. HRW employed so called video expert Eliot Higgins and his colleague Daniel Kaszeta to investigate the August 21 chemical attack in Ghouta, and quickly reached the conclusion the Syrian government was behind the attack. Daniel Kaszeta was referred to as a fraud by prominent physicist and MIT Professor Theodore Postol. HRW’s CEO Kenneth Roth recently used a report by Eliot Higgins to make unfounded claims about Ukrainian rebels shooting down Malaysian flight MH17. Heather Saul did not respond to questions on whether Eliot Higgins was one of the expert she asked for advice. However the mainstream media’s most often quoted video expert, did not recognise that the video was a fraud, tweeting that he wasn’t sure if it was authentic but gave the video a reaction non the less. Instead of humbly accepting blame for spreading disinformation, many western journalists and their experts reacted by blaming the producer of the film. The collective rage of the entire mainstream media forced the film's producer to delete any trace of this 30,000 dollar experiment. Some journalists took to twitter to express their rage at being exposed as easily duped by convenient propaganda. GlobalPost referred to the film as ‘irresponsible and dangerous’ but not because it could be used to promote wars and make false accusations. What the real danger to the mainstream media and their experts seems to be, is that as a result of the films exposure as a fraud, future video claims may now have to be properly scrutinized and the public may not be so unquestioning in future. However it is the journalists' lack of scrutiny that is truly what is irresponsible and dangerous. Had the director not admitted the film was fake, these journalists more than likely would have kept promoting the story as an example of Syrian Army war crimes. Maram Susli also known as "Syrian Girl," is an activist-journalist and social commentator covering Syria and the wider topic of geopolitics. especially for the online magazine “New Eastern Outlook”. Journalist Steven Sotloff who was kidnapped and beheaded by ISIS believed the Syrian rebels possessed and possibly used chemical weapons on Aleppo and wanted to report it leaked conversations show. 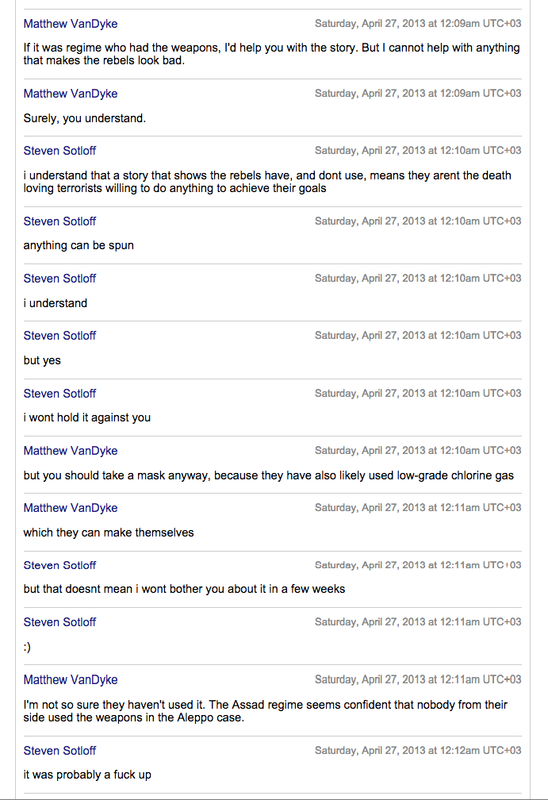 American foreign fighter Matthew Vandyke who fought along side the Libyan insurgency and also went to Syria on a pro Syrian Rebel mission, revealed to Sotloff that he had information that Syrian rebels posed chemical weapons before they were used in Aleppo. In another conversation Sotloff told Vandyke that he believed being kidnapped by AlQaeda group Jabhat Al Nusra would be a way to earn their trust. Vandyke agreed claiming some of the best connections he made with Al Qaeda groups were after being 'arrested'. In another conversation Vandyke was very eager to meet with the AlQaeda group Jabhat AL Nusra and network with them. 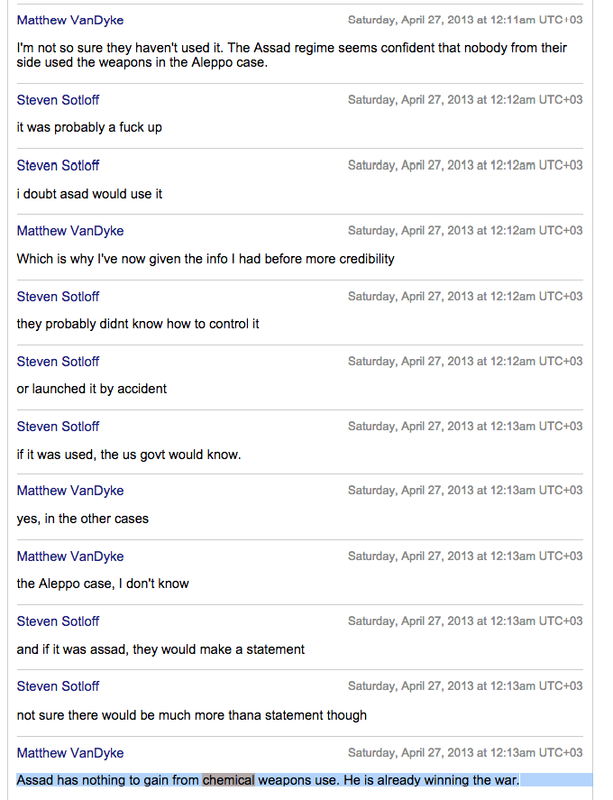 The conversations where leaked by the Syrian Electronic Army (SEA) who hacked Vandyke's email and Facebook account. 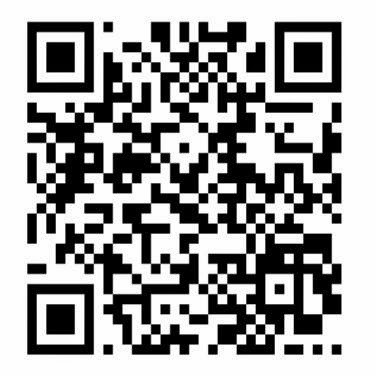 A Zip file of several hundreds of conversations can be downloaded here. Vandyke has confirmed that his Facebook account and email were hacked by the SEA as well as stating that his comments about rebel chemical weapons were true, and other individuals have also authenticated that the leaked conversations are real and accurate. Authenticity of private conversations were made public of Vandyke and Jack Murphy's wall. Downloaded Facebook history is compressed into this format you will end up with, compressed without images. Sotloff told Vandyke that he believed being kidnapped by AlQaeda group Jabhat Al Nusra would be a way to earn their trust. Geopolitics, War, News and Analysis.